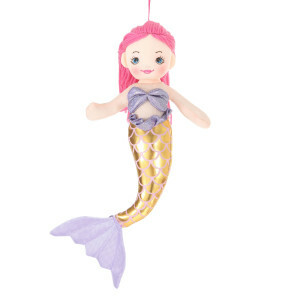 The plush mermaid doll is something swimming straight out of a fairy tale. 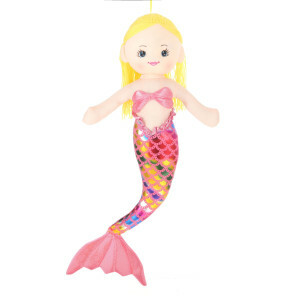 It's meticulously embroidered face provides a juxtaposition to its shimmery rainbow tail. 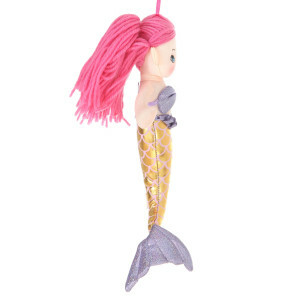 With its larger size, it becomes an extremely huggable plush that fairy tale lovers simply can't miss. 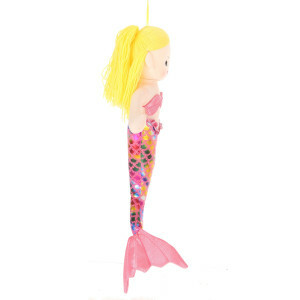 This fairy doll is the object of every child's dreams. The careful eye for detail from Giftable World® has truly been the magical powder that brings this plush toy to life.